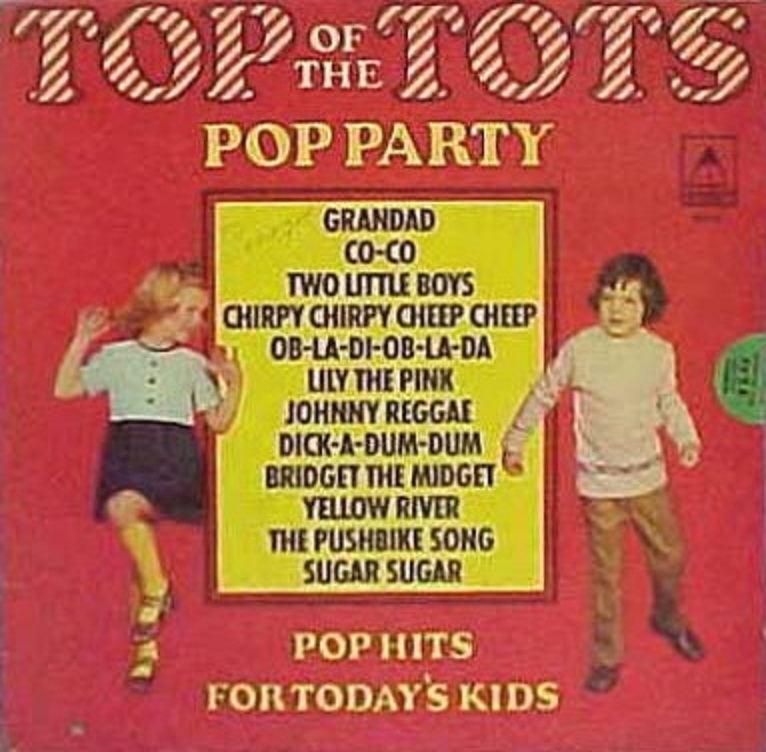 Well kids, for a long, long time we’ve been trying to make an L.P. of pop tunes especially for you! 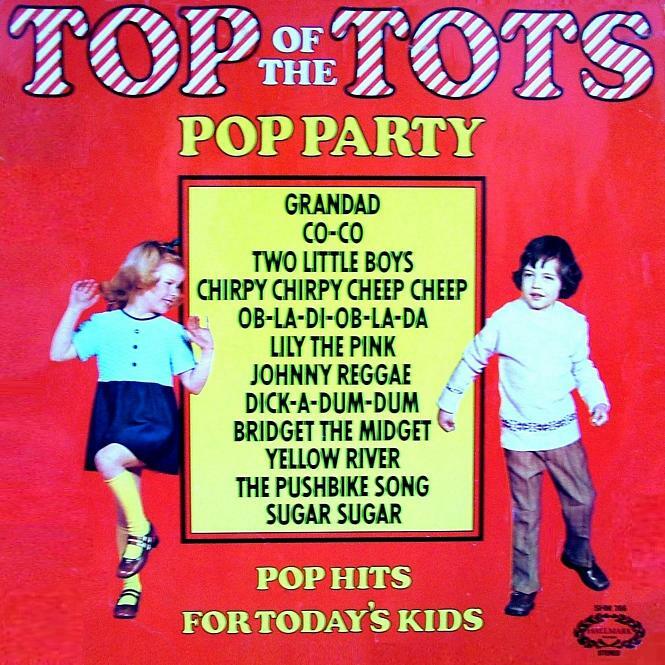 The Mums and Dads and Squares have got it made, and nobody seems to have thought of you. So we spent a lot of time picking the best pop songs that came out over the past two or three years. 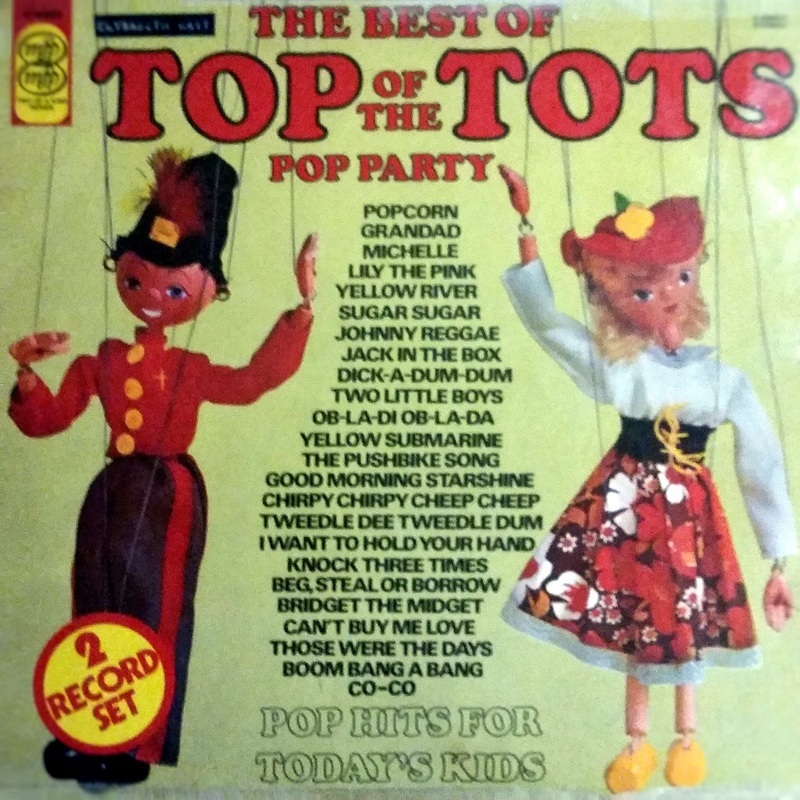 If you look at the titles on this album (quite a lot of them were No. 1) you will see that we have done our very best for you. We think the album is great. But we want YOU to think it’s great too! Try it kids, and if you like it, let us know, and maybe we’ll get another one out as soon as we can. 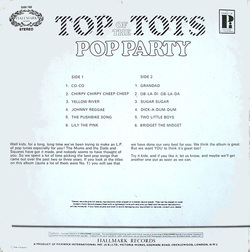 Comments: The first Top of the Tots album wasn't numbered volume 1, but would become the first in a new sub-series which would run for several years. 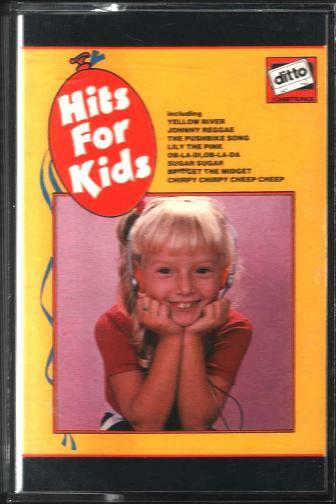 Released in the early 1980s, "Hits For Kids" was a double-pack cassette on Pickwick's Ditto label. 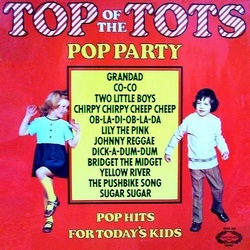 The two tapes, although uncredited, were re-issues of Top of the Tots volumes 1 and 2. 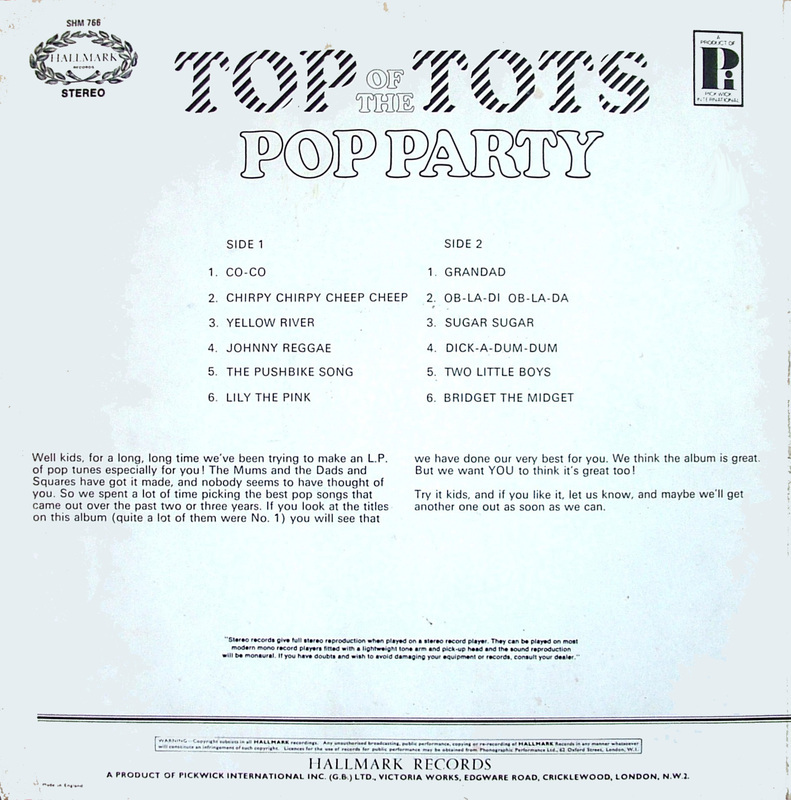 Ditto twin packs came in printed card boxes, which typically had the same artwork as the cassettes. 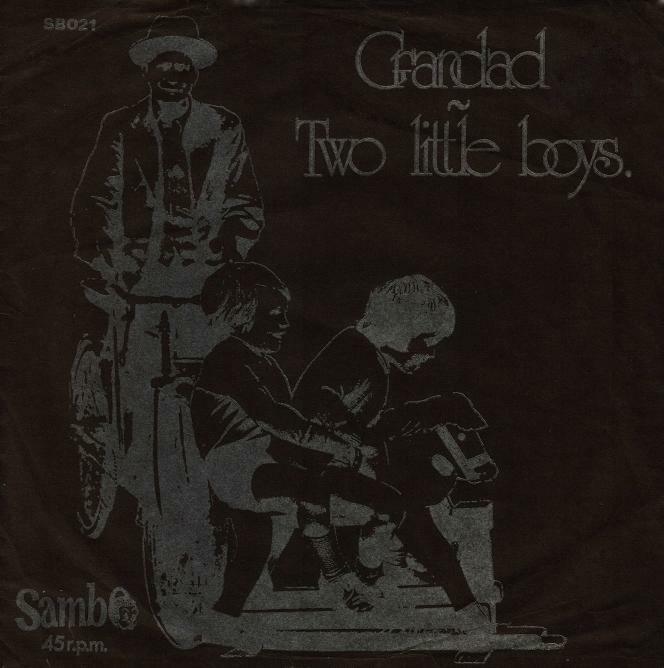 We can suppose this release followed suit, although this has not been confirmed.